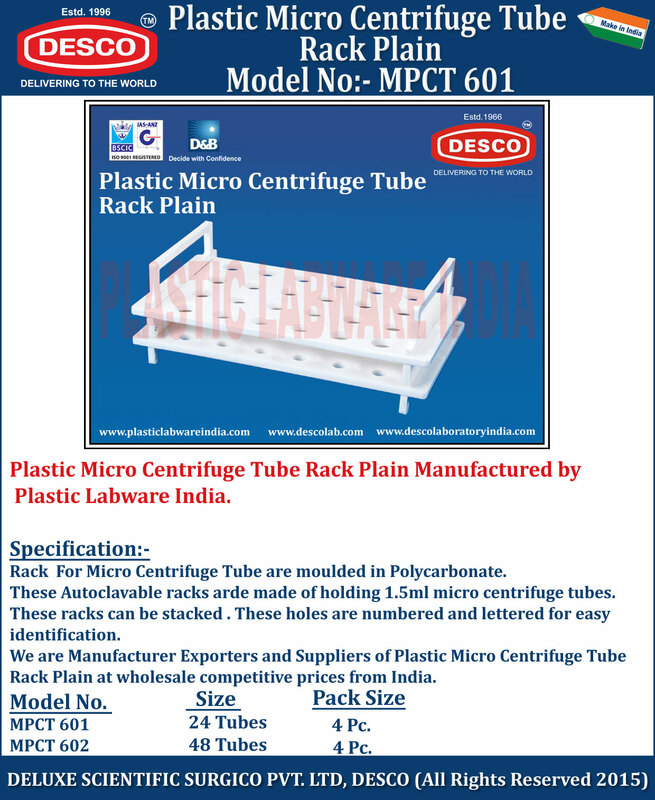 Rack For Micro Centrifuge Tube are moulded in Polycarbonate. These Autoclavable racks arde made of holding 1.5ml micro centrifuge tubes. These racks can be stacked . These holes are numbered and lettered for easy identification. We are Manufacturer Exporters and Suppliers of Plastic Micro Centrifuge Tube Rack Plain at wholesale competitive prices from India. MPCT 601 24 Tubes 4 Pc. MPCT 602 48 Tubes 4 Pc.